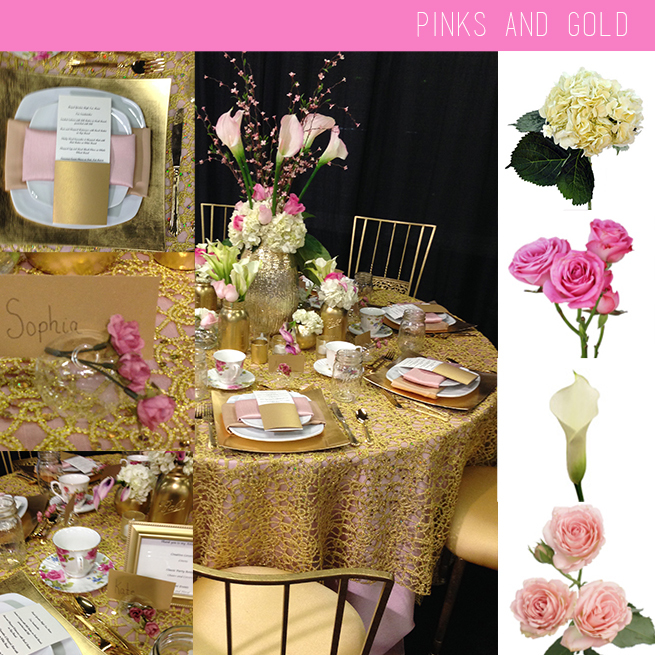 Dripping in gold this tea party-inspired table is fit for royalty! To DIY the look find low vessels with small openings so it’s as easy as cut the stems and insert the blooms. We love the lace-like linens and feminine tea cups which inspire the colors. The place cards with bud vases honor each guest with a fragrant burst of color. This glamorous table brings sparkle and a touch of girly color to your reception table. This design was recently shared with Event Pros at The Special Event convention. Special thanks to the designers at Opulent Events in Las Vegas for sharing this table design. Recreate this look with your favorite shade of pink flowers. Shop by color and choose from Blush, Light Pink, Hot Pink, Medium Pink or Dark Pink.